Nokia has had a torrid time of late. The company, once a bastion of all things mobile, struggled to keep pace with Apple, Samsung, LG, and Sony, and despite some very solid releases it kind of just gave up and sold up to Microsoft just before Steve Ballmer called it a day as CEO. It was a sad day to be sure, made all the more perplexing by the fact that Microsoft –– the only Windows Phone maker in operation –– seems hell bent on making low-end, low calibre devices in a bid to soak up some market space in emerging markets, which was ironically the only thing keeping Nokia in contention during its later years. BUT Nokia is said to be planning a return to the mobile space, and this time it will do it using Google’s Android platform as its mobile OS of choice. It will likely be a forked version of Android or something similar to OnePlus’ Oxygen OS, however, so that Nokia can “brand” itself accordingly. This is happening too. Nokia will return to the mobile space in 2016 with Android-powered handsets. The news was confirmed by Nokia’s China President Mike Wang, who revealed the company would be using factories in Sichuan to build new Android-powered smartphones in 2016. “No other details worth mentioning have been revealed, but at this point we could take a chance at guessing the company’s future plans, speculating that Nokia’s decision to relocate in China might lead to challenging the likes of Xiaomi, Lenovo, Oppo and ZTE next year,” reports G for Games. Either way, this is a very exciting development. And it will be very interesting to see how Nokia attacks the market. KYM has a feeling it might just adopt a similar approach to OnePlus and Xiaomi, and if it does, well, that’d be just splendid. The timing and the nature of the return of the former number one mobile phone manufacturer (…in the world) should come as no surprise to anyone paying attention to the details either the sale of Nokia’s devices and services business to Microsoft or the release last year of the Nokia N1 tablet. Nokia’s Android-powered tablet was announced at the Slush conference in November 2014, and demonstrated Nokia’s new retail model for hardware. The design was Nokia’s own, and while it shipped with Android 5.0 Lollipop and support for Google GOOGL -0.36% Play, it was given a Finnish flavor through Nokia’s ‘Z Launcher’ software. Foxconn obtained the licence for the tablet’s manufacturing, selling, shipping, and support. A leaner Nokia had returned to the hardware market without the tricky issue of rebuilding a support network for the hardware, and Foxconn could make use of its own manufacturing knowledge and networks to ship the N1. While there are no details on who would be the licence of the next Nokia smartphone (or acknowledgement that Nokia will in fact release such a handset), it makes sense for Suri and Nokia to adopt the same business model for any new handset. The timing should not be a surprise either. Microsoft’s purchase of the division granted it a number of IP marks (including the Lumia name), and a licence to use the Nokia name on smartphones and features for a number of years. The naming licence included a shorter period of exclusivity use - Nokia smartphones would be exclusively under the Microsoft banner for eighteen months. That period will be up during 2016, and it sounds like Nokia is not going to waste any time in returning the powerful brand name back to the consumer smartphone market. 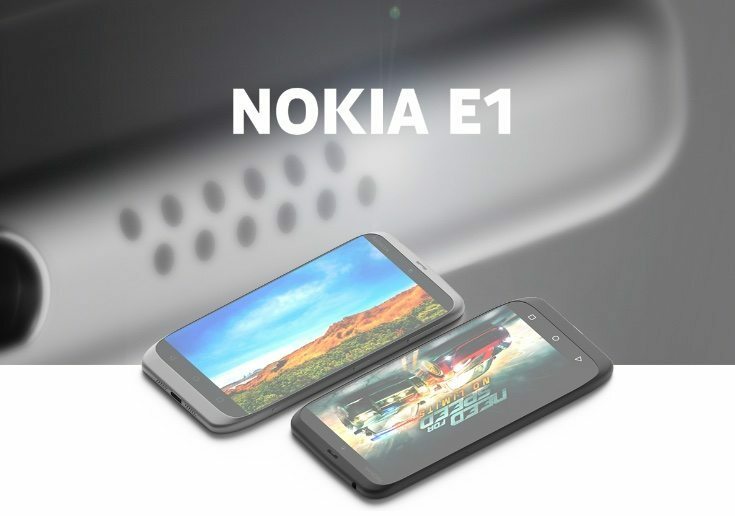 So Nokia wants to sell their design's - albeit NEW design's since Microsoft now holds ALL the IP of their old design's, along with Nokia to sell the brand name to an OEM? BAD idea for the client and Nokia entirely. HTC is falling VERY hard and probably the LAST OEM standing that sells products/services under their OWN name in the smartphone industry. Many of the others that also used to make Windows Smartphone Edition or Pocket PC edition for Vodafone, Orange, TIL, etc providers across Europe don't really exist anymore. In other words THIS is a dieing formula. At least BlackBerry is trying to transform themselves, Nokia forgot that rule as they've done it 3x already. Know that Nokia N1 Android-powered iPad mini lookalike Foxconn sells in China at a palatable $249 before importers can enforce their outlandish premium policies and charge $400+ stateside? It’s just been confirmed it will not remain the only high-end (-ish) Nokia-branded gadget around for long. The severed company’s very CEO, Rajeev Suri, recently told a German business publication that “we will look for suitable partners” once the terms of Microsoft’s buyout allow a return to the thriving smartphone market. In case you didn’t get the memo, Redmond nabbed the Asha, X and Lumia names to eternally use as they please, but the Nokia moniker is, well, Nokia’s again starting next year. At least as far as smartphones are concerned, with feature phone rights belonging to Satya Nadella & co. through 2025. It’s a complicated deal all in all, but just keep in mind any Nokia-branded smartphones you see advertised and sold as such from January will have nothing to do with Microsoft and their current and future Lumia roster.